For users to be able to work on the tasks they should work on, they must be able to find these tasks. Enabling users to find “their” tasks requires the correct interaction between the inital assignment of the task and the filters configured in Tasklist. 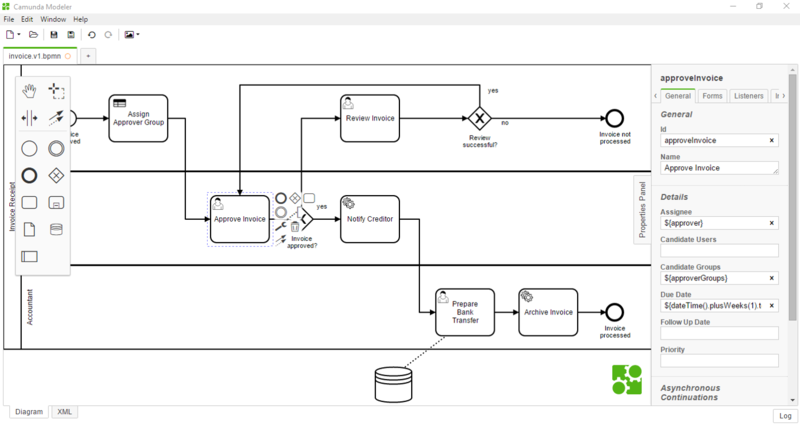 Initial Assignment: when a task is created, it is initially assigned to a user or group according to the configuration in the BPMN process (or the CMMN case). Building Filters: filters then allow users to find tasks which are assigned to them or to the groups they belong to. Claiming group tasks: if a task is not directly assigned to a given user, the user must claim the task before working on it. In Tasklist, a user can ony work on a task (i.e., filling in the task form) if the task is assigned to that user. This means that a user must claim a task if it is not yet assigned to him. Claiming a task sets the assignee of the task to the user who claimed the task. See the Claiming, unclaiming and reassigning tasks section for more information.